If I Start Out In A Chapter 13, Can I Switch At Some Point To A Chapter 7? Yes, this option is available in certain situations. If you qualify for a Missouri Chapter 7, then even if you start off in a Missouri Chapter 13, you can convert. However, as with most things in life, there are very specific rules that must be followed, and certain qualifications that must be met in order to do such a thing. To begin with, if you start off in a St. Louis Chapter 13 bankruptcy, there was probably a good reason why. For instance, you may have been trying to stop a foreclosure on your home, or get back your car after it was repossessed, or you didn’t qualify for a Chapter 7 for some reason. The Chapter 13 offers a repayment plan to get caught on your debts. It is between three and five years in duration, in which certain debts are paid in full, and others are partially paid. It also provides an opportunity to get rid of a second mortgage on your house, cram down the amount on your car to actual value (as opposed to the balance of the existing loan), and protect your assets from being liquidated. But there are several reasons why someone may wish to convert their Chapter 13 to a Chapter 7. So long as you qualified for a St. Louis Chapter 7 bankruptcy when you initially filed your Chapter 13, it can be converted. But if you have previously filed a Chapter 7, then a full eight years will have to pass first before you qualify for a new one. So if you filed a 7 three years ago, you will have to wait five more years to file another one. If this is case, then the only bankruptcy option for you would be a Chapter 13. Or if you filed the Chapter 13 in order to save your home from foreclosure, but you can no longer afford the monthly payments in the repayment plan, then it might be a good idea to convert the case to a Chapter 7 and simply surrender the house. Another scenario would be when you file a Chapter 13 with a certain household income to support a monthly plan payment, but because of factors outside your control, your household income drops substantially. If the new income figures are such that you now qualify for a Chapter 7, it may very well be in your best interest to convert. Determining when and how your options become available requires a great deal of knowledge of how the bankruptcy rules and laws work. This is why it is so vitally important to secure an attorney that has the skill, background, and experience in this highly-specialized area of law. 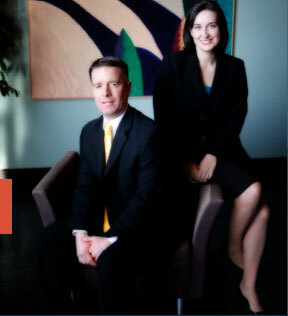 The affordable St. Louis bankruptcy lawyers at Brinkman & Alter, LLC have been making sure our client’s needs are met for years. Our goal is to put you in the best position possible so that you can rebuild your life and finances. We do this by getting you the fresh start / clean slate that you deserve; the second chance in life that comes when you file for bankruptcy.